Examining the NCAA Probe: Did the FBI Unfairly Target Christian Dawkins? 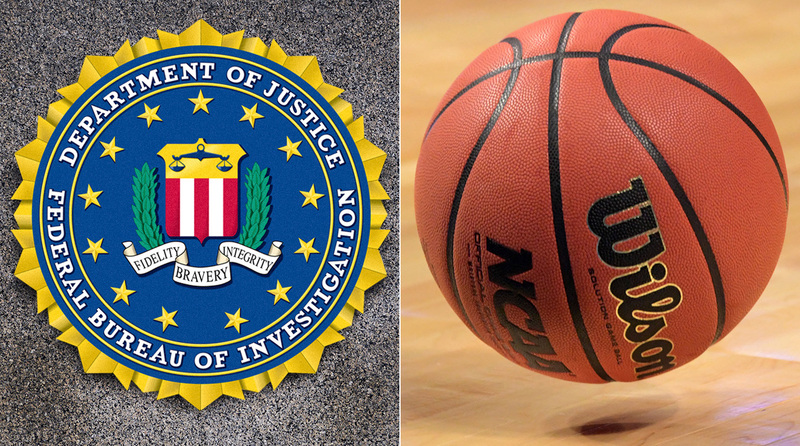 Could new findings undermine the FBI’s college basketball corruption case? An SI exclusive reveals details that call into question the validity of the FBI’s sting operation against Christian Dawkins. In a Sports Illustrated exclusive, stunning details have been released about the FBI’s investigation into sports marketing professional Christian Dawkins. Dawkins—along with Adidas executive James Gatto, former USC assistant coach Tony Bland and other significant figures in college basketball—was charged last September with felony wire fraud and money laundering. Convictions on those charges could lead to prison sentences that last decades. The 24-year-old Dawkins is accused of conspiring to pay star high school basketball players and their families hundreds of thousands of dollars. In exchange, those players allegedly agreed to attend colleges sponsored by Adidas. If these payments occurred, they would have clearly violated NCAA rules. However, as explained in other SI legal articles, whether these payments broke the law is a much less certain matter. For one, it has never before been considered a crime to pay a high school student to attend a college. Also, the theorized victims of the fraud—the colleges—benefitted considerably by enrolling star recruits. This is a new frontier of criminal law. In the unlikely event Dawkins and the other co-defendants actually go to trial (approximately 90% of persons charged with federal crimes resolve them through plea deals), the Justice Department’s theory of college basketball crime would be put to the test. The SI story unearths how Dawkins, a largely unknown and modestly accomplished figure, became the centerpiece of the government’s high-profile sports case. Between 2015 and 2017 Dawkins served as a runner for NBA agent Andy Miller and his agency, ASM Sports. Dawkins is credited with helping Miller land 10 players who were later drafted by NBA teams. Dawkins also launched his own sports management company, LOYD (“Live Out Your Dreams”). LOYD did not appear to score much business, at least not until receiving a key assist from the government. To that point, last summer Dawkins unwittingly—and one might argue unfairly—entered the FBI’s radar screen. It was at that time when Marty Blazer, a financial advisor who was secretly helping the FBI as part of plea deal, set up a meeting between Dawkins and a man named Jeff DeAngelo. DeAngelo was the lead FBI agent in the college basketball corruption investigation. Dawkins didn’t know that. This was because DeAngelo posed as a wealthy real estate investor who sought to take his money into sports. As Jon Wertheim and Jake Fischer reported, DeAngelo assured Dawkins that he was eager to heavily invest in LOYD. Unsurprisingly, the two men hit it off: one was directed by the FBI to offer the other, who was in need of money. In subsequent meetings on a Manhattan-docked yacht and at a five-star Las Vegas hotel, DeAngelo provided substantial financial assistance to Dawkins. DeAngelo also advised Dawkins to use the money he was providing to “funnel funds” to college coaches. By doing so, DeAngelo correctly reasoned, coaches would become more inclined to direct their star players to sign with LOYD. Later on, DeAngelo introduced Dawkins to another supposed wealthy investor, “Jill", who spun a similar tale about seeking influence in the sports industry. In reality, Jill was another undercover FBI agent brought on to encourage Dawkins to commit acts that the FBI considered to be crimes. Dawkins soon discovered that he had been duped. His phone had been tapped and hours of his calls had been recorded. Dawkins also learned that DeAngelo had engaged in his own wrongdoing. As Wertheim and Fischer detailed, the government made a so-called “Brady disclosure”—a disclosure of information that tends to exculpate the defendant of wrongdoing—about DeAngelo that raised serious questions about him and, by extension, the government’s case. Specifically, DeAngelo is accused of wrongfully spending government money on gambling and other activities while he was undercover. Wertheim and Fischer infer that DeAngelo’s alleged misconduct took place when the undercover agent met with Dawkins in Vegas. Could the new findings undermine the college basketball corruption case? As noted above, federal prosecutors notified Dawkins and his attorneys that DeAngelo has been accused of misappropriating government money while he funded, and cheered on, Dawkins. Prosecutors were obligated to make this disclosure in accordance with the “Brady Rule,” which is the product of the U.S. Supreme Court’s holding in the 1963 opinion Brady v. Maryland. Per the Brady decision, prosecutors have a duty to disclose evidence that could assist the defendant—including in regards to evidence that tends to clear the defendant of guilt or that aids the defendant in potential trial defenses. The Brady Rule also extends to evidence that could influence the manner in which the defendant would be sentenced by a judge. The idea that the government’s case is largely built on an agent who was committing wrongful acts calls into question the strength of the implicating evidence and testimony. Should Dawkins go to trial, his attorneys could insist that DeAngelo cannot be trusted. After all, DeAngelo (allegedly) betrayed the government by misusing government funds in the course of pursuing Dawkins. If DeAngelo was willing to spend government money on gambling in Vegas, what else might he have been willing to do in his pursuit of Dawkins? On the witness stand, DeAngelo could face a barrage of difficult questions from skilled attorneys about his ethics and judgment. Those questions could make jurors wonder about the government’s judgment in picking someone like DeAngelo to lead such a critical investigation. Further, Dawkins’s attorneys might assert that some of the incriminating evidence and testimony collected through DeAngelo ought to be suppressed. They would insist that an agent who was engaged in unlawful conduct contaminated the reliability of anything he touched. The attorneys would try to extend such a contention by stressing that any evidence and testimony that are the “fruit” of DeAngelo’s collection techniques should be excluded as well. Whether any such arguments would work is hardly certain. There are numerous ways that prosecutors can overcome defense motions to suppress evidence. Prosecutors would charge that DeAngelo’s missteps were irrelevant and immaterial in relationship to the Dawkins investigation. They would also contend that DeAngelo (and Jill) acted in good faith when collecting evidence and statements connected to Dawkins. It is also not clear how the FBI uncovered evidence against Dawkins and other witnesses. While DeAngelo may have led Dawkins on, other agents were likely monitoring Dawkins and recording his activities and communications. This discussion, at least it relates to Dawkins, will probably turn out to be academic. The reality is that Dawkins is unlikely to go trial. Like about 90% of criminal defendants in the federal system, he will probably strike a plea deal with prosecutors. In the deal, he’d agree to plead guilty to lesser offenses and also agree to testify against others charged by the government. It stands to reason that the Justice Department is interested in much “bigger fish” than a 24-year-old with a fledging sports marketing company. Division I coaches and well-known sports executives are likely much higher on the government’s wish list. Yet therein lies a potential problem for prosecutors: DeAngelo appears to be a central figure in the government’s case. If he is, in fact compromised, attorneys for any college hoops defendant will surely make him a focus and use allegations against him to raise questions in jurors’ minds. A commonsensical reading of what Wertheim and Fischer reported about the FBI’s courtship of Dawkins is that the FBI took advantage of Dawkins’s naiveté and his desperation for money. One might go further and conclude that if undercover FBI agents hadn't funded and emboldened Dawkins to commit alleged crimes, he would not have committed the specific acts that led to the criminal charges. Criminal defense attorneys, however, regard the entrapment defense as one of the least likely defenses to repel a prosecution. This is true even in undercover sting operations where FBI agents play a surreptitious and instrumental role in inducing a defendant to commit crimes. Dawkins could establish entrapment in a couple of ways. First, he could prove that DeAngelo and Jill engaged in conduct that would have led a typical, reasonable person to commit a crime. Dawkins seems unlikely to establish such a point. The fact is, the typical person probably wouldn’t agree to bribe coaches. Alternatively, Dawkins could prove that he lacked the disposition to commit a crime and that, but for the influence and facilitation of DeAngelo and Jill, he would not have committed a crime. Stated differently, even if Dawkins could convince jurors that DeAngelo and Jill led him to pay certain coaches that he otherwise wouldn’t have paid, Dawkins would remain unable to establish entrapment unless he also showed that he lacked the predisposition to pay those coaches. It appears that Dawkins was eager to make a splash in the murky waters separating college basketball and the NBA. The accusation that he took the money and used it to pay coaches suggests that he was, in fact, predisposed to commit actions the government contends are crimes. In other words, Dawkins may be able to show that undercover agents deceptively groomed him to become a hustler, but he probably wouldn’t be able to show that he was coerced or forced by those agents.